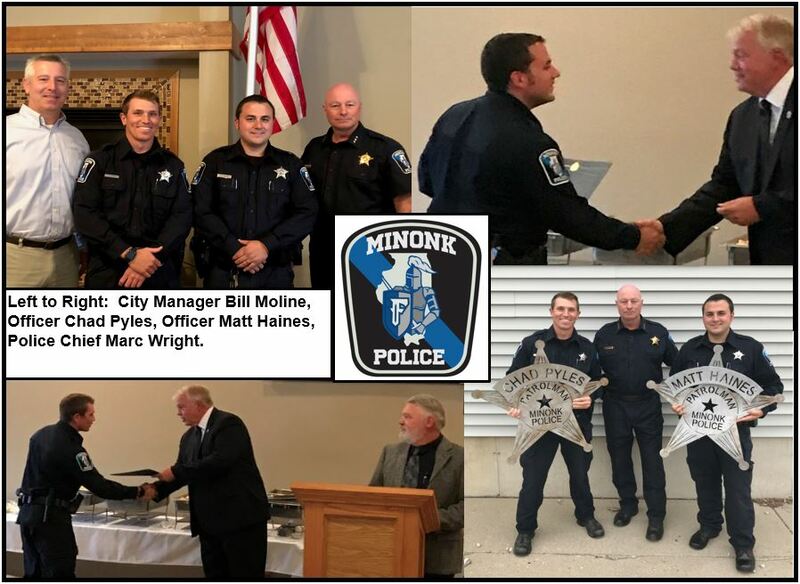 The Minonk Police Department is proud to announce Officers Matt Haines and Chad Pyles have successfully completed the Basic Law Enforcement Academy in Princeton Illinois. Officer Haines and Officer Pyles received their certificates at the Graduation Ceremony held Saturday, September 29, 2018. In attendance were Police Chief Marc Wright, City Manager Bill Moline, along with family and friends.